We have been seeing these melted beads all over the web so I thought we would give it a try. 2. We separate the beads into colors. Green went in the tree, yellow in the star and so on. 3. I added a pony bead to the top of each thinking that would be a great spot to put in the string after. Also we I added a few more on the Christmas tree. Oh wow! That’s awesome! They make the best ornaments! What a cute and creative craft! I know my two girls would love this, especially since they enjoy dressing up and putting jewelry on! I pinned this to try with them this holiday season! How fun! My son would love to do this! 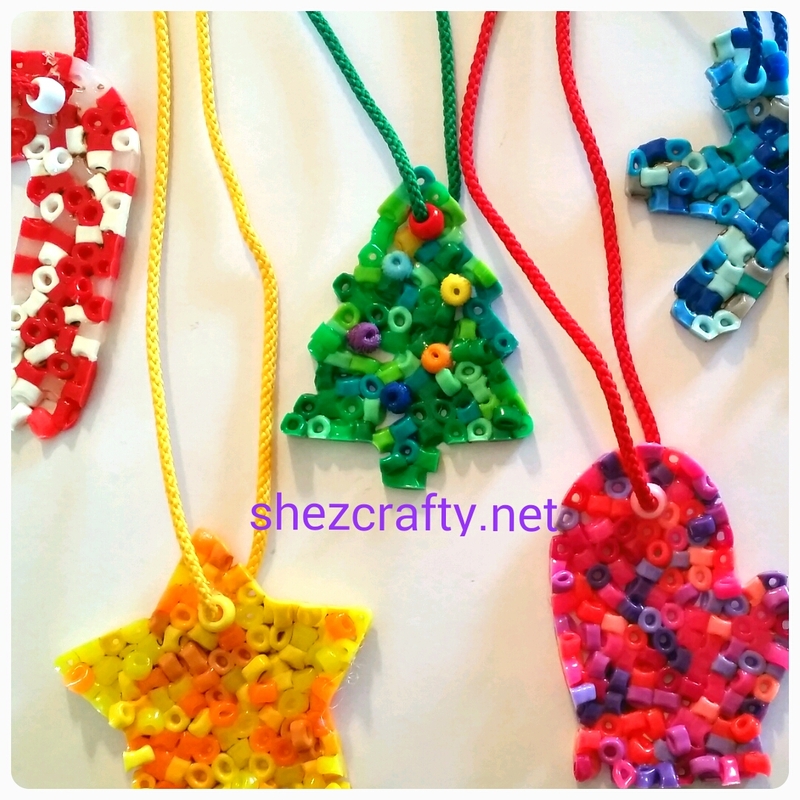 That’s a cute craft for kids. I used to love making something similar to this when I was little. Thank you for sharing and linking up on the Oh My Heartsie Girls Wordless Wednesday Link Party. 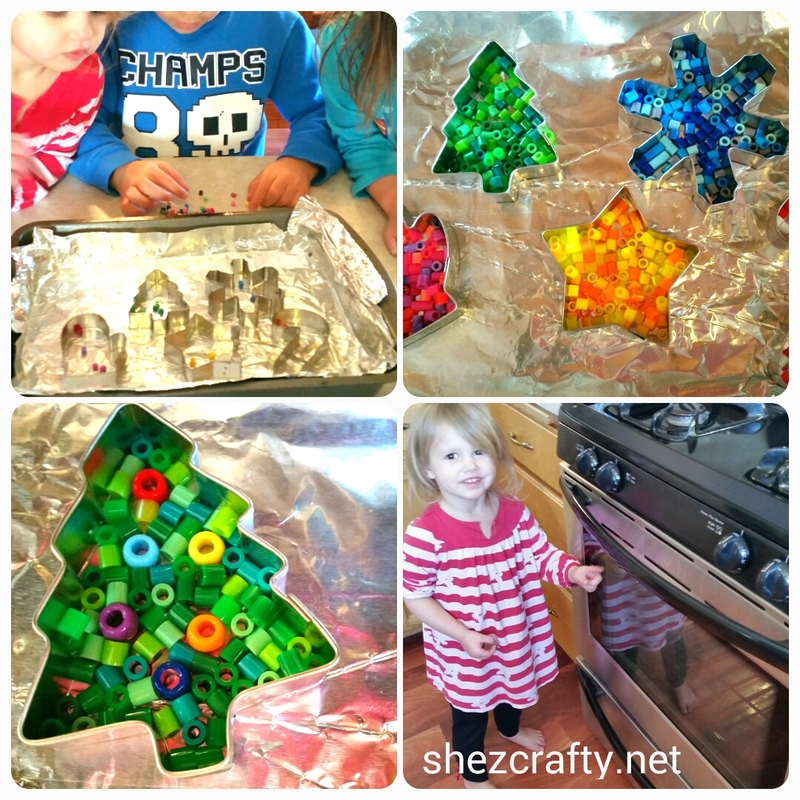 such a cute project to do with the kids in your life!